Gina Torres is an American television and movie actress. She has appeared in many television series, including Hercules: The Legendary Journeys (as Nebula), Xena: Warrior Princess (as Cleopatra), the short-lived Cleopatra 2525, as well as Alias (as Anna Espinosa), Firefly (as series regular Zoe Washburne), Angel (as Jasmine), The Matrix sequels in a supporting role, and The Shield. She also starred in the independent film South of Pico as the fragile waitress Carla. Currently she plays a supporting role on the USA Network show Suits as Jessica Pearson. Torres was born at the Flower Fifth Avenue Hospital in Manhattan, New York City, the youngest of three children. Her family lived briefly in Washington Heights before moving to The Bronx.Her parents were both of multiracial Cuban descent, and her father worked as a typesetter for La Prensa and the New York Daily News. Torres, a mezzo soprano, began singing at an early age and attended Fiorello H. LaGuardia High School of Music & Art and Performing Arts in New York City. She also trained in opera and jazz, and performed in a gospel choir. Torres applied and was accepted to several colleges but could not afford to attend. She chose instead to pursue her dream of being a performer. In 2001, she won the ALMA Award for Outstanding Lead Actress in a Syndicated Drama Series for her role in Cleopatra 2525. In 2004, she was nominated for the International Press Academy's Golden Satellite Award for Best Performance by an Actress in a Supporting Role in a Series, Drama, for her role as Jasmine in Angel. Her film appearances include The Matrix Reloaded and The Matrix Revolutions. In 2004, Torres appeared in seven episodes of the third season on 24 as Julia Milliken, a woman who has an affair with the White House Chief of Staff and becomes involved in a Presidential scandal. In 2005, she was tapped for the pilot episode of Soccer Moms. 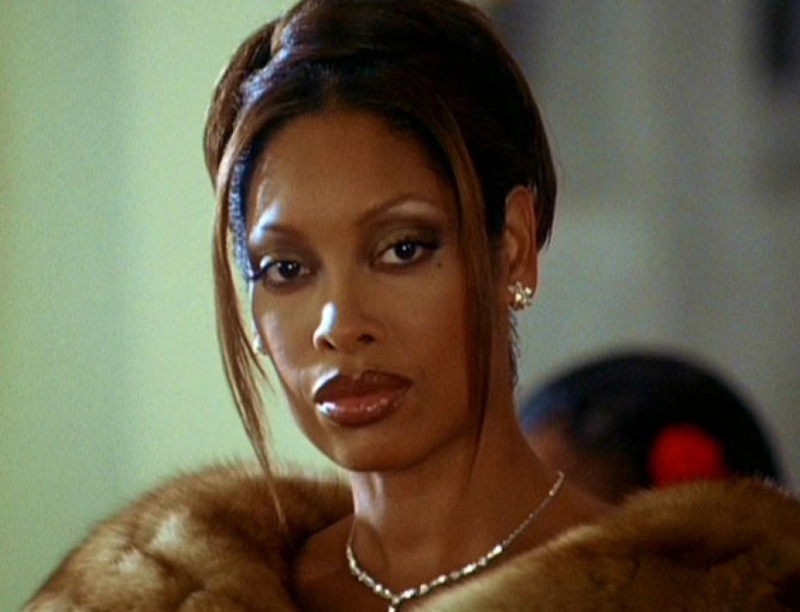 Also in 2005, she voiced the character of Vixen in numerous episodes of the animated series Justice League Unlimited and replaced the voice-over of Jada Pinkett Smith's character Niobe in The Matrix Online. She is best known for her role in Fox's short-lived Firefly series, which lasted only one season but still carries a heavy science fiction fanbase. She reprised her Firefly role as Zoe in the film Serenity (2005). In 2006, Torres began her role as Cheryl Carrera in the short-lived drama series Standoff on the FOX network. Her character is the Supervisory Special Agent in Charge for Crisis Negotiation Unit, FBI Los Angeles. Torres appeared in the film I Think I Love My Wife, playing the spouse of Chris Rock's character. She was cast in Washington Field, a 2009 CBS television pilot from executive Producer Edward Allen Bernero. It is about the National Capital Response Squad, a unit of the FBI made up of elite experts in different areas who travel around the world, responding to events that affect American interests. 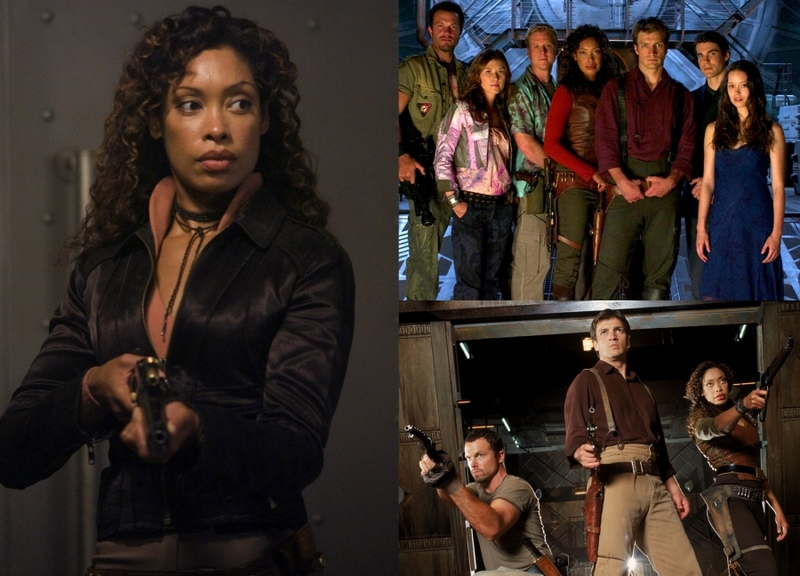 The cast includes Cole Hauser, Eddie Cibrian, Gina Torres, Teri Polo and Matthew Yang King. She is also the voice of Wonder Woman in DC Universe Online MMORPG, as well as Airachnid in the Transformers Prime cartoon. In 2013, Torres was reunited with fellow Firefly costar, Nathan Fillion, in an episode of Fillion's television show, Castle. She met actor Laurence Fishburne while filming The Matrix Reloaded. Torres and Fishburne were engaged in February 2001 and married on September 22, 2002, at The Cloisters museum in New York City. On January 8, 2007, Fishburne's spokesman Alan Nierob announced the couple were expecting their first child together.] She gave birth to daughter Delilah in June 2007.